There are occasions that tend to flood me with fond memories from a certain time period of my life. Memorial weekend is one of those for sure. As a teenager, I vividly remember the excitement of anticipating being picked up by my friends and we would then take a very fun car ride out east to one of our friend's house in Dix Hills, New York for her annual 'start of summer' pool opening party, which was always the day that catapulted her summer long parties of graduations, bridal showers, baby showers, engagement parties, barbecues and seriously, 'just because' parties simply because most of my friends on Long Island loved having a good time, not to mention most of Long Island is a party town. As you probably can imagine, our drives to those events were never void of blasting our favorite sounds, from boy bands to rocking out to house music. Some of us would be balancing the act of a steady hand as we'd be polishing our toes while actually having meaningful conversations with each other without any cellphones in hand, laughing our hearts out, feeling a sense of freedom having a moment away from any overly strict parents or guardians peering over our shoulders. Aah, memories are such a lovely gift. Writing this alone brings me back to those fun times. And at that time we didn't realize we were making memories, we just knew we were having fun. In honor of my past fun summer days, I've compiled a list of a few favorite sounds that I've been loving lately to keep me in a happy mood this summer (as the temperatures rise to uncomfortable levels) while I cruise around exploring several exciting activities that I've been planning for this summer (which I'll share with you soon). In the meantime, I hope you find this playlist upbeat and it helps keep you grooving as you go through your daily routine this summer season. Have you made your summer playlist yet? What are your favorite tunes right now? I'd love to know. 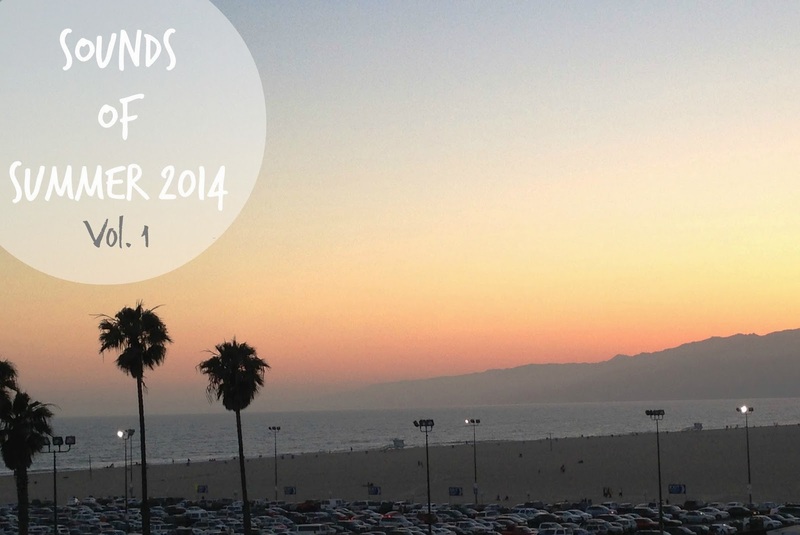 Share in the comment below or on twitter with the hashtag #SoundsofSummer2014.